I really didn’t know what I wanted to cook for my first recipe so while going through the DVD that came with the cookbook they had a few menu plans set up. I wanted to start with something simple and different than what I normally eat. 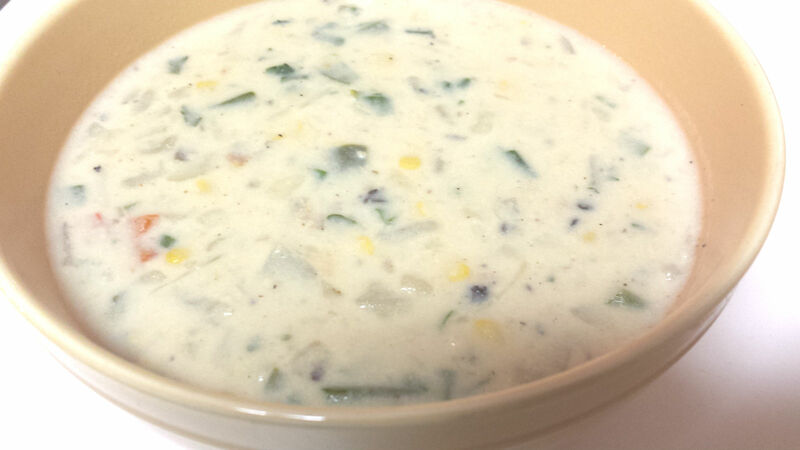 I’ve had clam chowder in the past (tastes great with parmesan cheese) but never corn chowder. 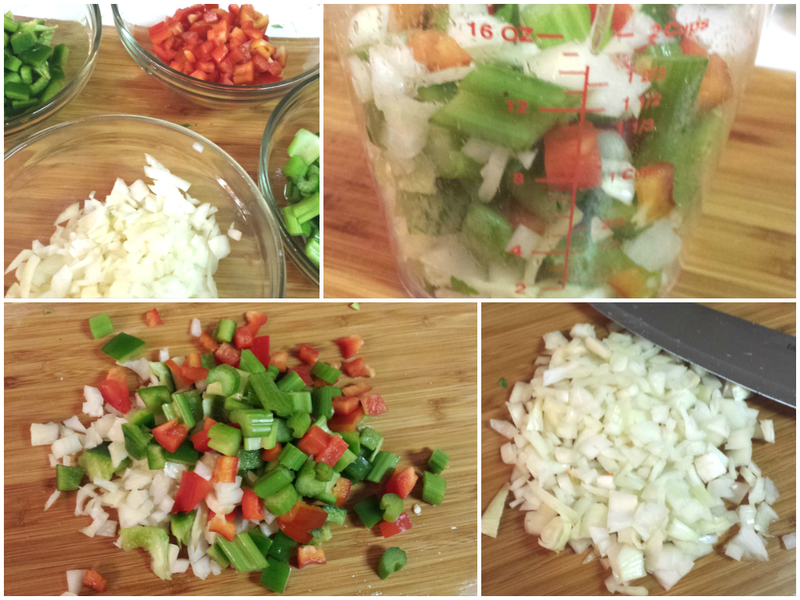 I’ll provide the original recipe, but since I’m trying to cut out as much processed food as I can I made some changes. I’ll make note of those changes as I go. The grocery store I went to didn’t have Yukon gold potatoes so I used russet instead. Bring them to a boil in a Dutch oven until they’re tender. About 10-15 minutes. Drain and set them aside in a large bowl. 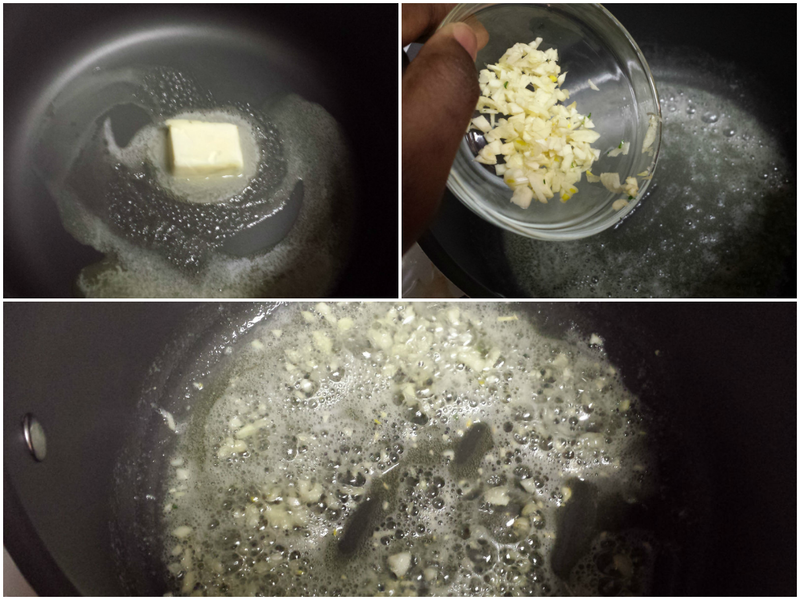 I LOVE garlic, so even though the cream of mushroom soup had garlic in it I decided to add more by mincing three garlic cloves and sauteing them in the butter over medium high heat. About a minute or so is good. Just until the garlic starts to brown a bit. 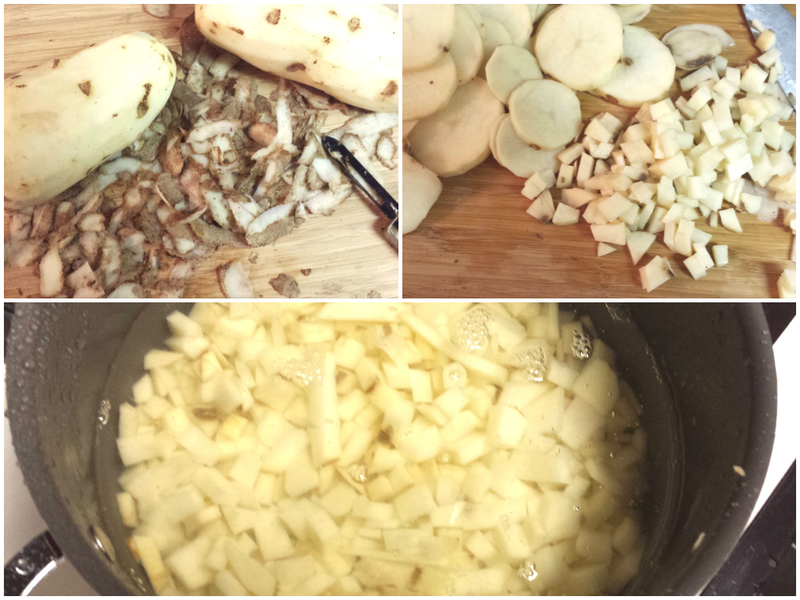 I chopped up another cup of onion (I used a white onion both times because it’s what I already had on hand) and sauteed it with the other vegetables in the garlic butter and let it simmer. The recipe says 6 to 8 minutes or until tender. I did a little clean up while cooking then proceeded to the next step. I like crunchy vegetables. 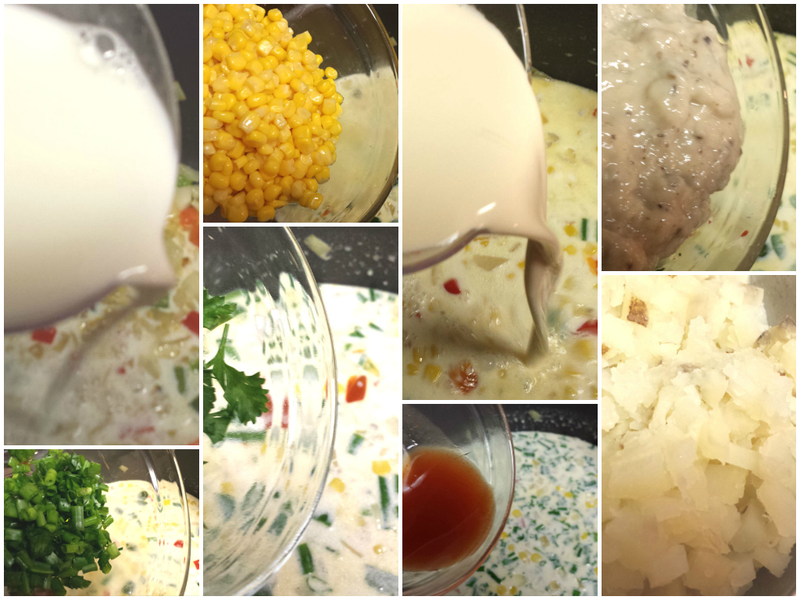 Add milk, corn, evaporated milk, cream of mushroom soup, green onions, parsley, hot sauce and potatoes. Bring to a boil. Reduce heat to medium low and let simmer for about 15 minutes until heated through. Salt and pepper to taste. Let stand for about 1o minutes. Here I did the rest of my clean up and by the time I was done it was ready. More garlic. 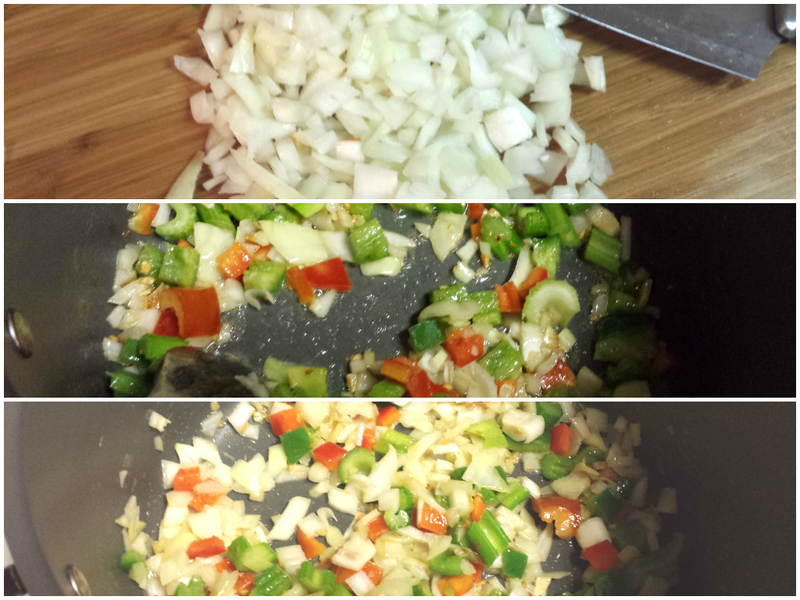 Instead of three cloves of garlic I will use 6 or 7. I had to add garlic powder at the end and I really didn’t want to. 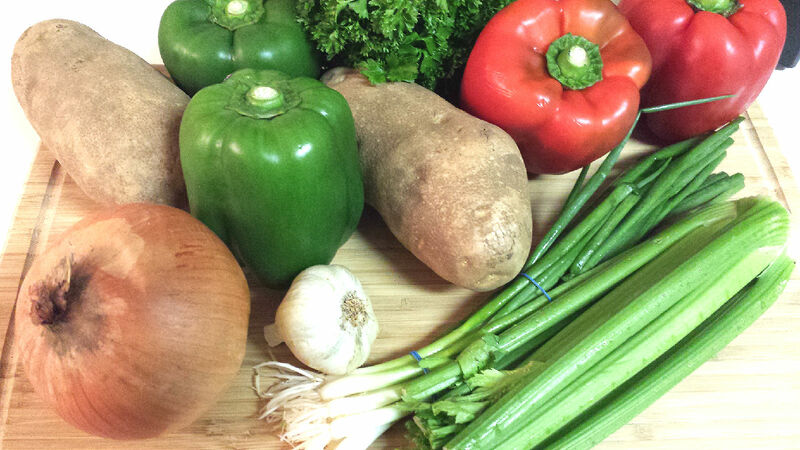 I want to add more vegetables like carrots and peas. And maybe a meat. Cubed chicken sounds nice. Going with my less processed route, I want to make my own cream of mushroom soup…which calls for chicken stock…which means I’ll be continuing to buy organic for a while. Hope you enjoy making this as much as I did. It was a lot of fun, especially with my new knife set. Cutting was a breeze. 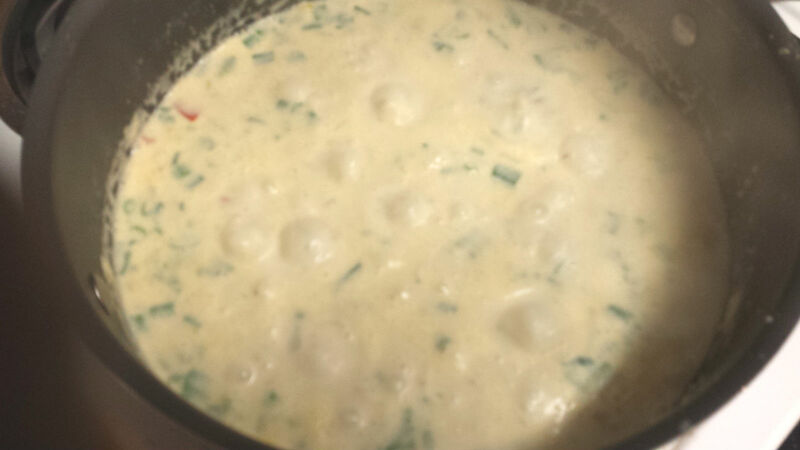 This entry was posted in Food and tagged Bell pepper, Corn chowder, Cream of mushroom soup, Garlic, recipe. Bookmark the permalink.